Standing inside of a glacier you see nothing but beauty, the way the light reflects, the way the water ripples through hollow passages of the ice. A sense of purpose, a spiritual moment where you become one with nature slipping into an unknown oblivion. All of the pain is gone. You are at peace. That’s essentially what, “Paysages polaires” does to my mind. Hypnotizing me at every corner. Music as beautiful as it is fierce. The way this hits me is hard to explain. 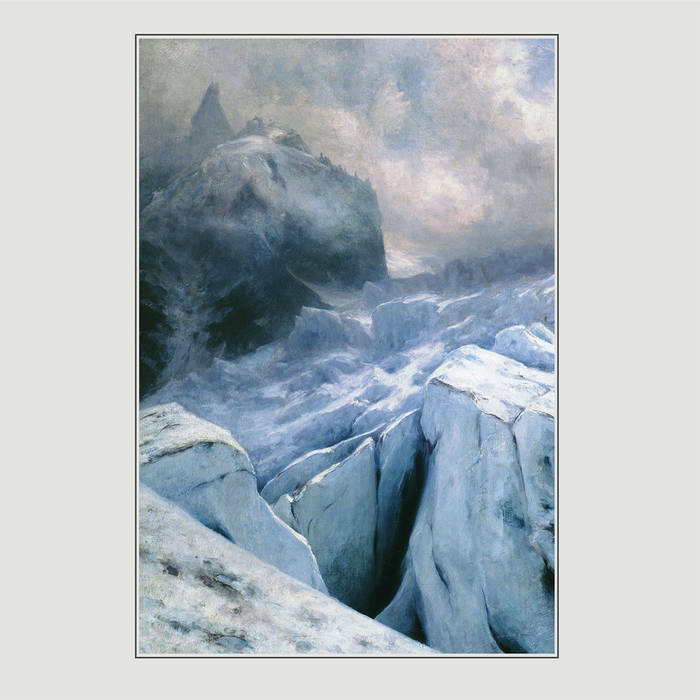 If you’re in to the more atmospheric side of black metal then this album is for you! “le Feu Secret” is the starter of the album with fast tremolo picking very standard BM stuff where the melody really carries the first riff and then smacks right into some great vocals really reminiscent of Mgla (another fantastic band) but enough to have his own unique spin on the vocals. the song weaves in and out between tremolo picking and a haunting melody that really carries the whole thing. As we get into the album track 3 starts a trilogy of songs with the title of the album, “paysages Polaires” parts 1-3 and it just perfectly sounds what this album is trying to convey. Beautiful passages into fierce guitar work that really just sets this whole thing up to be absolutely epic on all aspects.